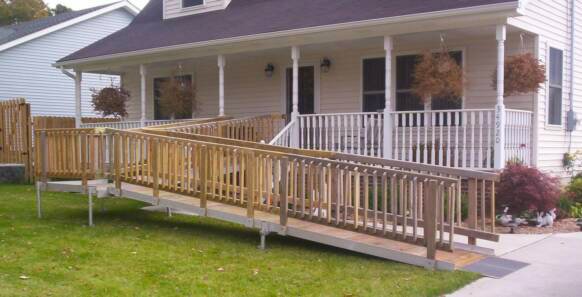 Wooden ramps are always a popular choice in Virginia, Maryland, and North Carolina. 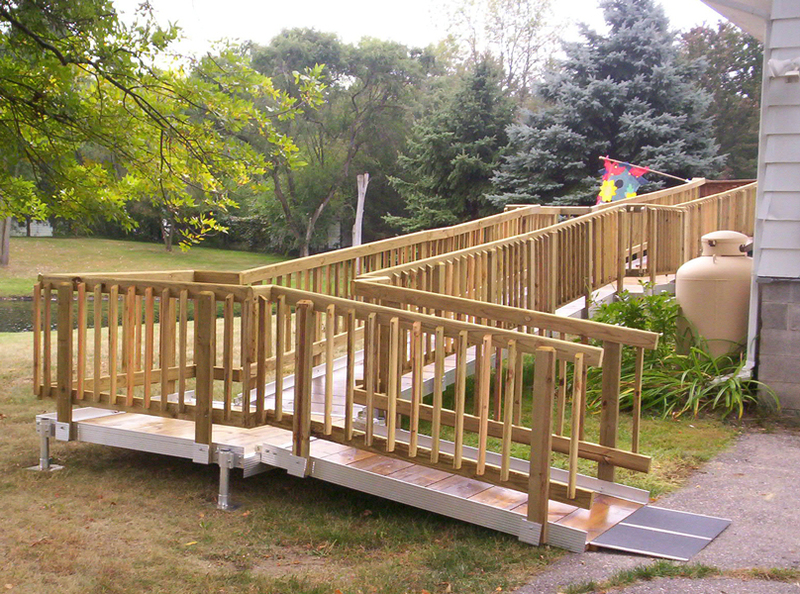 They are our most customizable and most affordable ramp systems. Most wooden ramps have difficulty handling our humidity and over time twist, turn, and require constant maintenance. Richmond Ramps' wood ramps have eliminated that problem with the use of an aluminum framework that locks the wood into position, significantly reducing twists and turns. Our wooden ramps and railings can by easily stained or painted to match your home or business, and a quick cleaning once per year will keep your wooden ramp looking great for years.